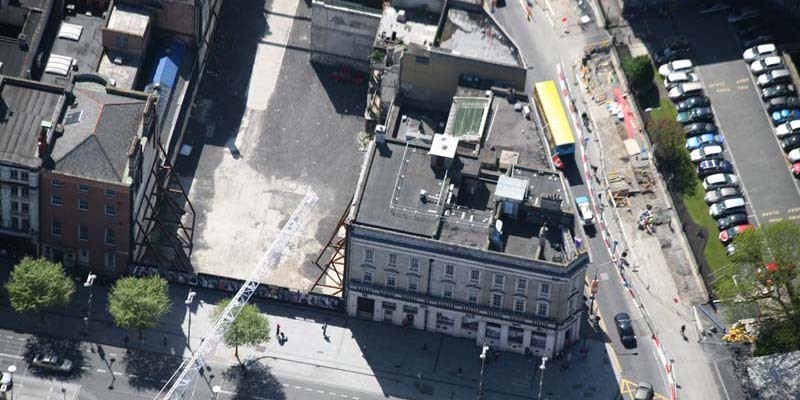 You are here: Home | Our Projects | AIB O’Connell St. 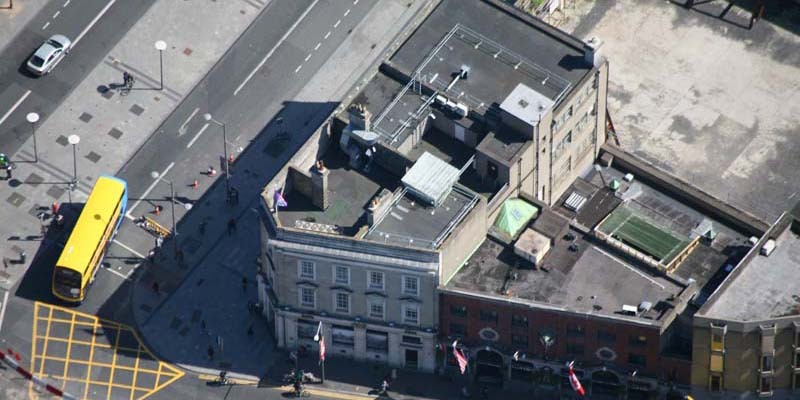 The refurbishment of the iconic AIB building on O’Connell Street in Dublin City Centre required great care and attention to detail and so prior to development and design of the project plan an extensive roof condition survey was carried out to ascertain the scope of works required. 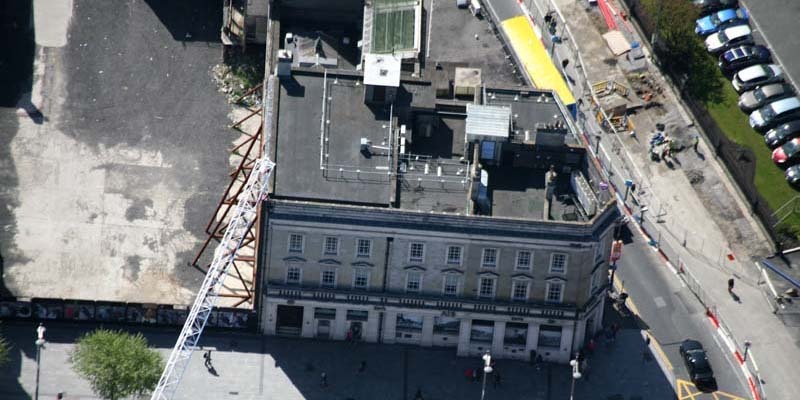 Due to its very public location and its location on Ireland’s busiest thoroughfare Health and Safety concerns as well as storage and delivery requirements had to be at the forefront of our planning. The roof was refurbished with a Paralon Bituminous Felt Built-Up System with a Kemperol Liquid Applied Waterproofing used for the various vents, exit points and detailing.